ADS is pleased to announce that it has added a Usage Statistics page to all our archive collections, including Journal Series, Bibliographies and Theses. 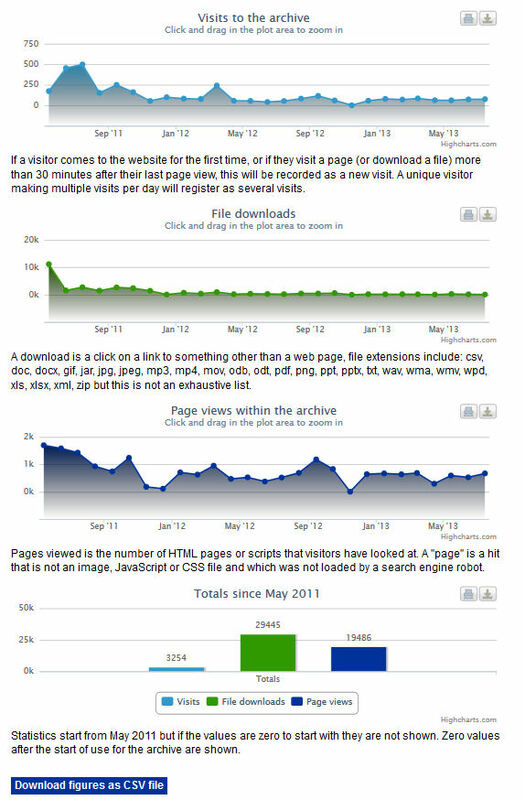 The usage statistics for every archive are gathered on a monthly basis via Piwik web analytics. The statistics collected are then used to create graphs to present the number of visits to an archive, the number of pages viewed within an archive and the number of files downloaded per archive. This allows depositors to track the usage and impact of their data. Below is an example of a usage statistics page.